Employing staff if critical to your business, and as an employer you have certain legal obligations that you must carry out to ensure that you employ staff legally and safely. We know that the legal side of things can be a little confusing and overwhelming - especially when you're busy - which is why we've put together the ultimate guide to creating employment contracts. Not only will we be looking at why you need a employment contract for all the grooms and equestrian staff that you employ, we will also be taking you through what to include, and how to easily put one together. Employment conditions: This should include details like start and end date (if required) of employment, job title, location and length of probationary period, working hours and how they will be paid. Rights: These are any entitlements that you offer as an employer such as sick pay, maternity or paternity pay, any on-going training and the right not to be discriminated against at work. Duties: Outline of daily duties. These are called the ‘terms’ of the contract. Although some of details above will depend on your own employment policies you need to be aware of the legal obligations to employing someone and it is always a good to check these first before creating your own employment contracts. With EEA Membership you have access to the Clarke Willmott Solicitors LLP free initial phone consultation helpline. 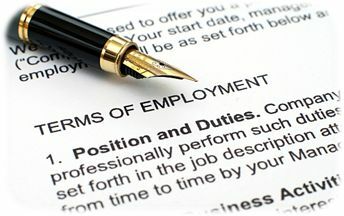 What does a contract of employment mean? A contract of employment should lay out the particulars of employment and the employees rights which should then be agreed upon by both the employer and employee. Not only is having a contract a legal requirement, it is an essential way of highlight what you expect from your staff and what they can expect from you. Although creating employment contracts can seem laborious they do have their advantages. If you find that the employees aren't carrying out their full duties they are in breach of their contract, making it easier for you to identify problems and help them to rectify behaviour. If after several attempts to help your employee you are well within your right to terminate employment and a contract will help you to demonstrate why they are being dismissed and how you have tried to help them improve. An employment contract doesn’t have to be written down. However within 8 weeks of beginning employment, the Written Statement of Employment Terms (aka a 'Written Contract') must be issued. We would suggest creating a contract of employment in the first few days. This allows both parties to understand what is expected of them. Is a contract of employment a legal requirement? Yes it is. A failure to provide a written Statement of Terms will carry a sanction of an award of up to four weeks pay if the employee pursues any Employment Tribunal claim. Why are grooms contract important? They ensure that both the employer and employee knows the terms of the employment. For an employer, apart from being a legal requirement, having a written contract protects your business. It is not a choice, and failure to provide one, will ultimately put you at risk, as you already have the contract, what you have failed to deliver upon is the Written Contract. There are many ways to create a written contract of employment. There are a number of great templates that you can find online or you can create your own template using programs like Word. A word of warning... written contracts of employment are legally binding so it is always best to talk to someone who knows about employment and the industry that you work in. For employers of equestrian staff, you're in luck! In conjunction with Clarke and Willmott Solicitors LLP we've created a really simple tool that will help you to create employment contracts in not time. 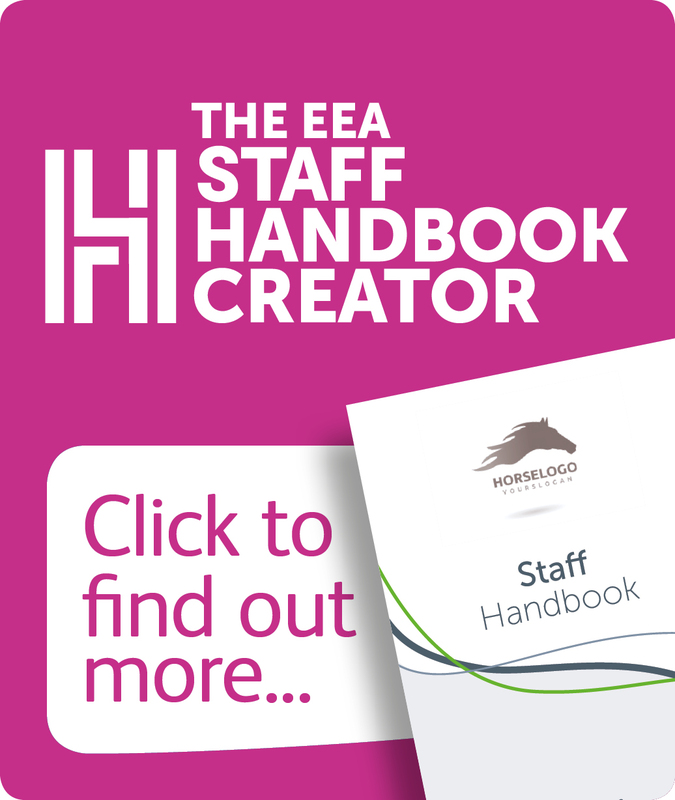 The EEA Contract Creator is your tool for creating a legally binding written 'Statement of the Main Terms and Conditions of Employment' with your employees. It allows you to select your own terms by answering a few questions; you can brand it with your company logo, and it includes everything that is required in a groom's contract of employment. You can create as many versions as you require, with the copies remaining in your account area so that you can simply go into your account and print of more copies when needed. This is a FREE tool for all EEA members, so if you want to use it simply join now for instant access. Should I create contracts for apprentice grooms? Yes. An apprentice is an employee and thus all the same rules apply. The EEA Contract Creator allows you to create bespoke apprentices versions too which includes details about training, study level and learning requirements. Do I need to create a contract for Self employed Grooms? No. A self employed groom or freelancer is not employed by you and they are not therefore bound to any rights of employment. Therefore, there is no requirement for you to provide them with a contract. It is important that you do not create a situation of false self employment, as the fines can be hefty. To find out more take a look at the employment status and the importance of understanding the different terms. 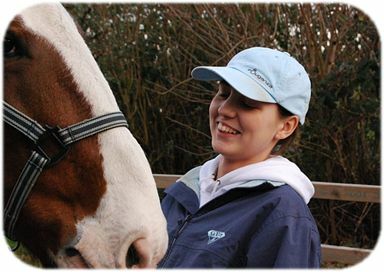 As an employer of equestrian staff you have a number of legal responsibilities and obligations, and providing a written contract is one of them. A contract will ensure that expectations on both sides are outlined and upheld throughout the employment period. Contracts shouldn't just be created for new employees. If you employ staff, apprentices or part-time staff each member of your team should have a contract. The easiest way to create multiple contracts is by using the Contract Creator tool built specifically for our members by Clarke and Willmott Solicitors LLP. So go ahead create your contracts now by signing up to the Equestrian Employers Association.